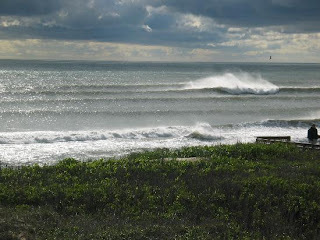 We are back at the beach in Corolla North Carolina, the outer banks of NC for a long weekend. I had a client cancel this week and cut my week short so I took advantage of it and we came down to enjoy the beach one more time this month. 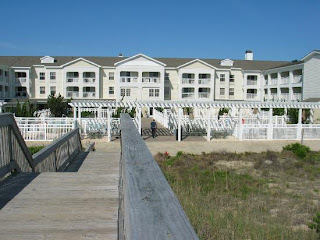 When I first learned that I was going to have a couple of extra days I called the Hilton Diamond Desk because the hotel was showing no rewards nights at Hampton Inn in Corolla. They really came through and the hotel got us a room for the long weekend. The front desk at the hotel was fantastic, finding up an ocean view room for our entire stay. Everyone at the hotel is wonderful and its one of the reasons its our favorite place to visit. We will be here through the weekend and we will update everyone on our trip on the blog. Hope everyone has a great weekend. Wow! Fantastic view of the ocean! Really envious of you staying in beautiful hotels!